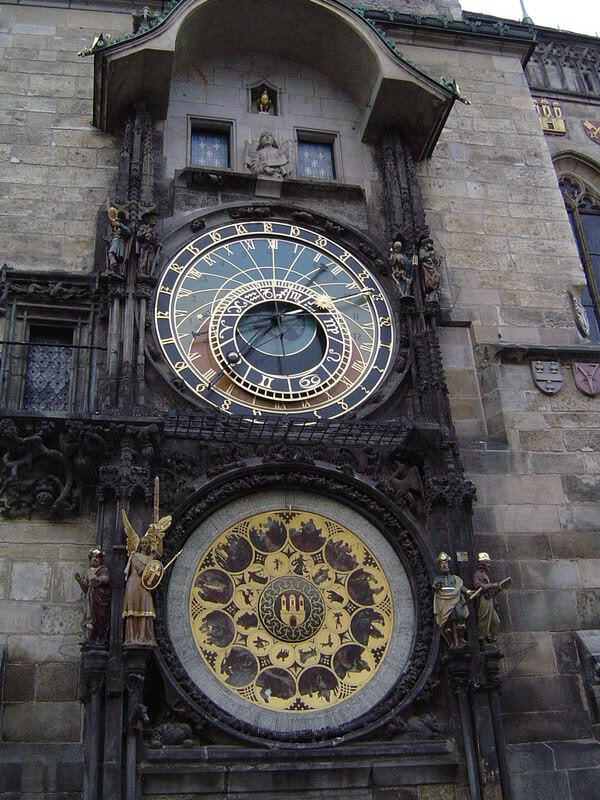 Orloj is most visited attraction in Prague. 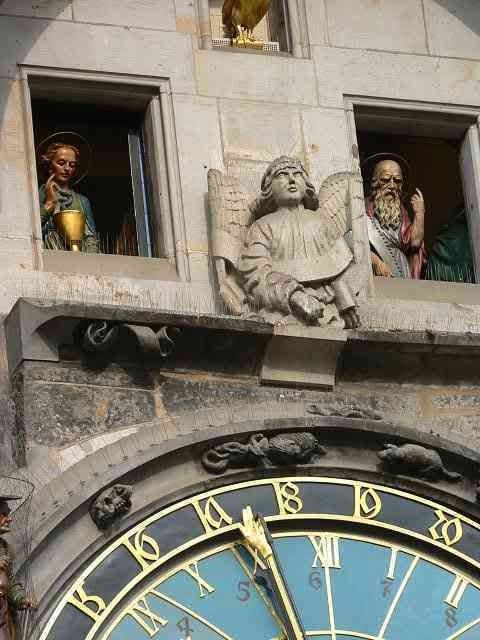 Every tourist who comes to Prague want to see changing of Apostles. 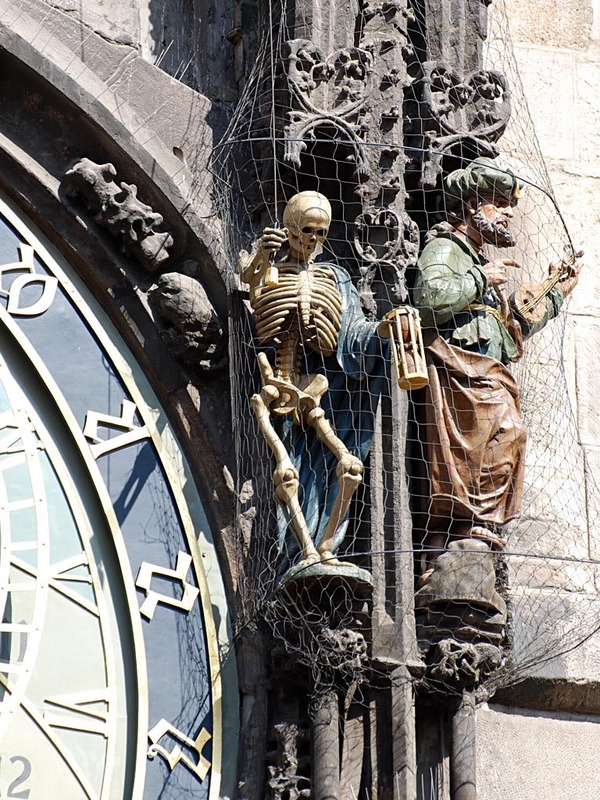 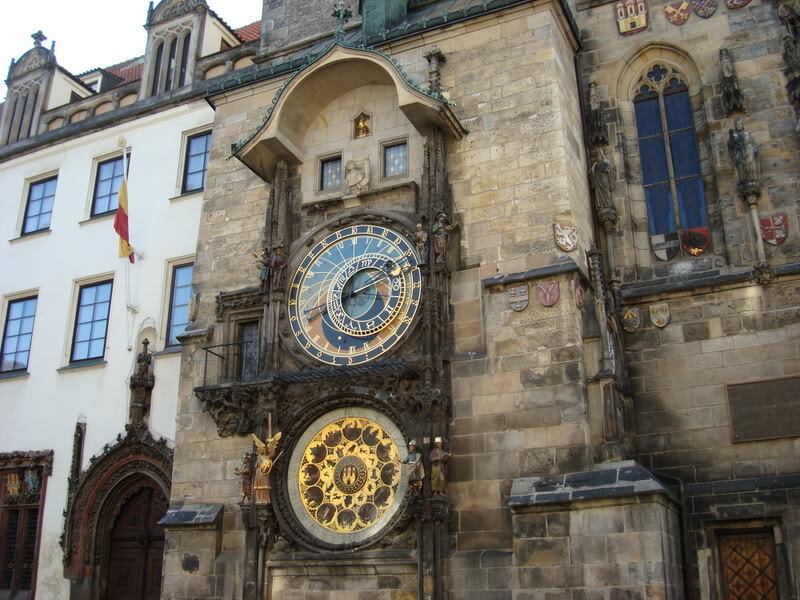 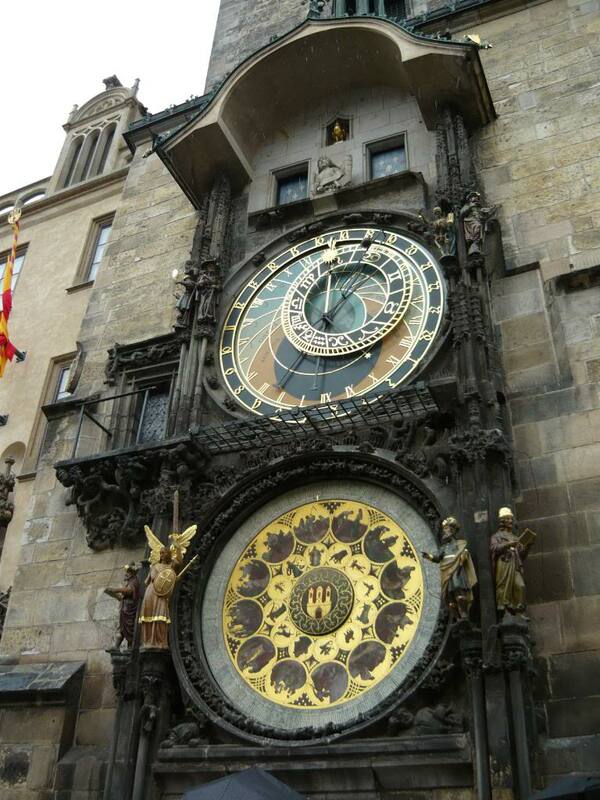 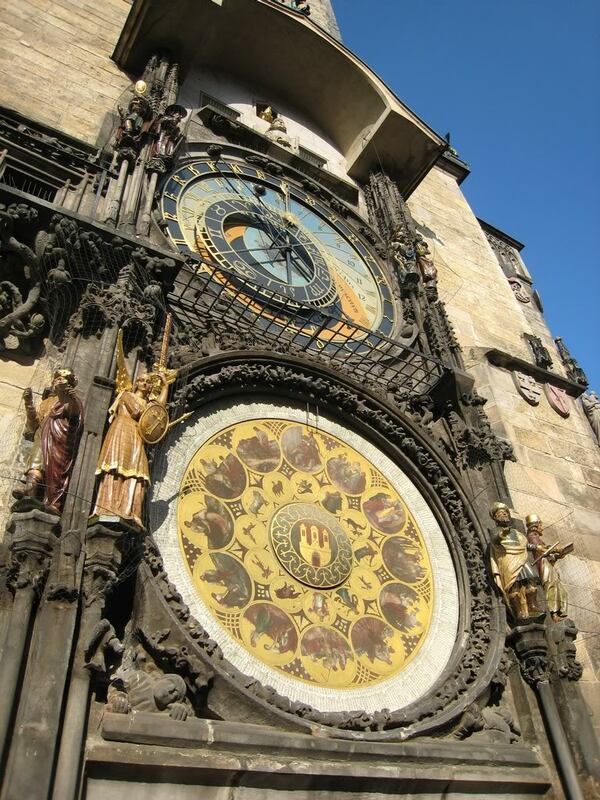 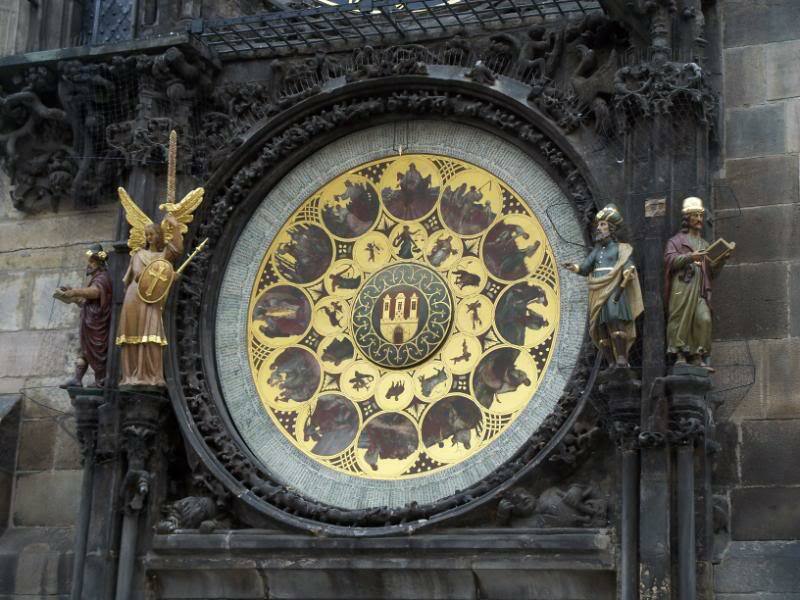 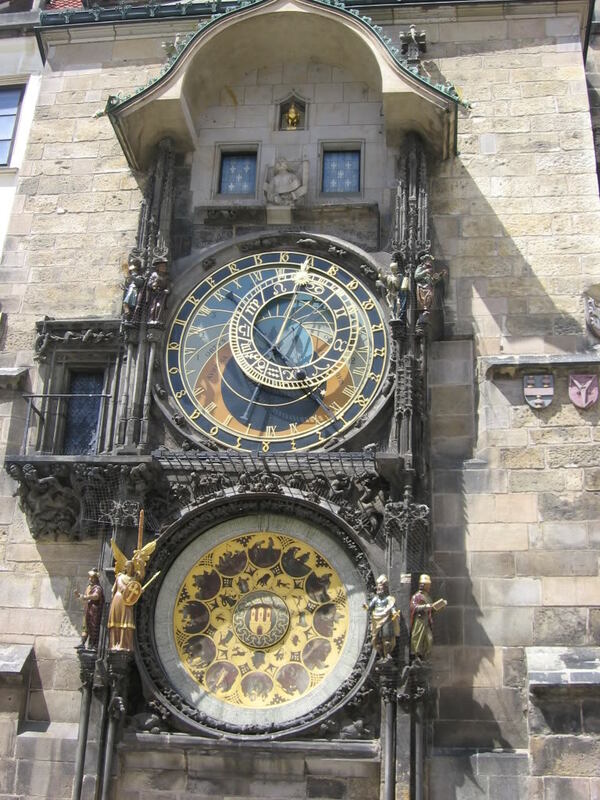 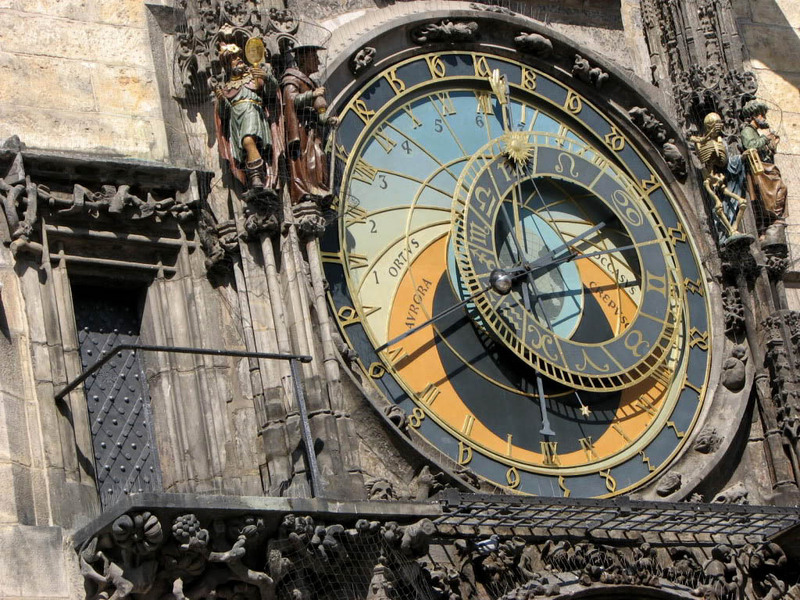 The astronomical clock was constructed in 1410 by the clockmaker Mikulas of Kadan in collaboration with Jan Ondrejuv called Sindel, professor of mathematics and astronomy of Prague Charles University. 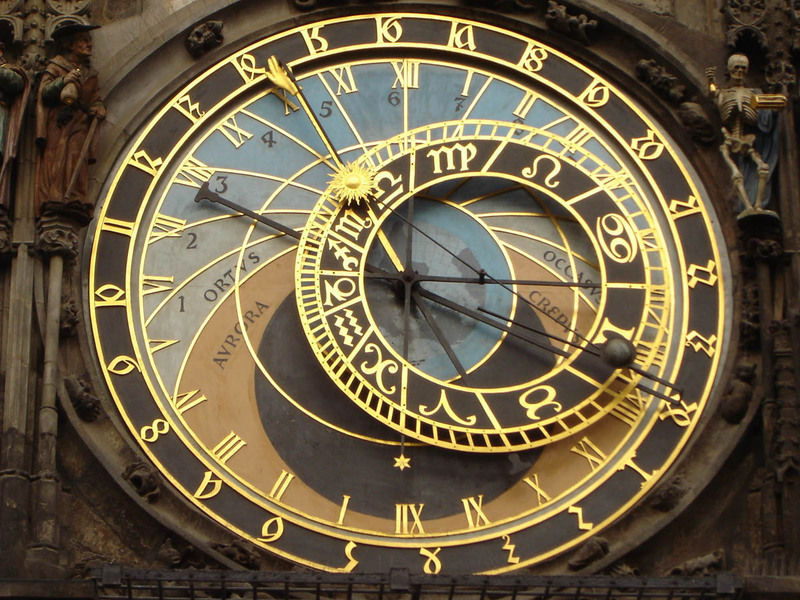 The astrolabe mechanisms were built over 600 years ago and are still functional. 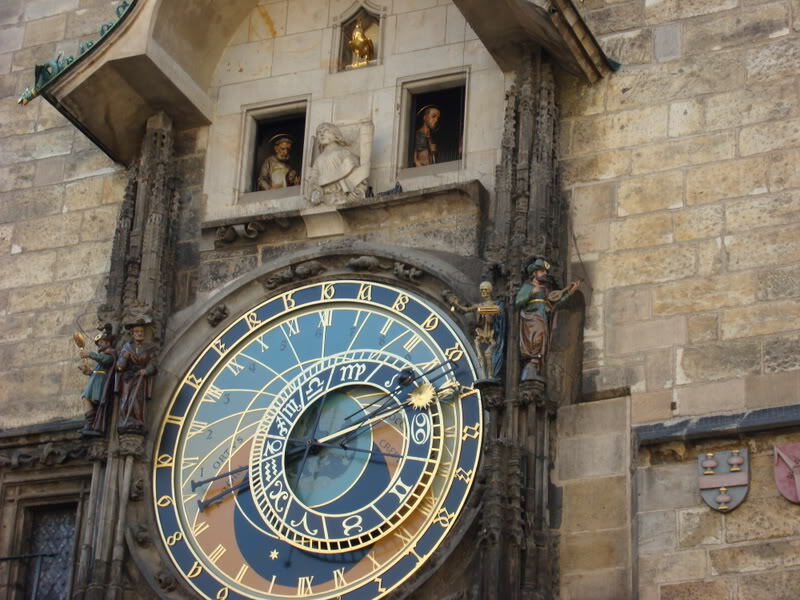 the legendary master Hanus rebuild the clock and as legend has it, the Councillors had him blinded, so that he would not ever manage to build another instrument greater than the Orloj in Prague. 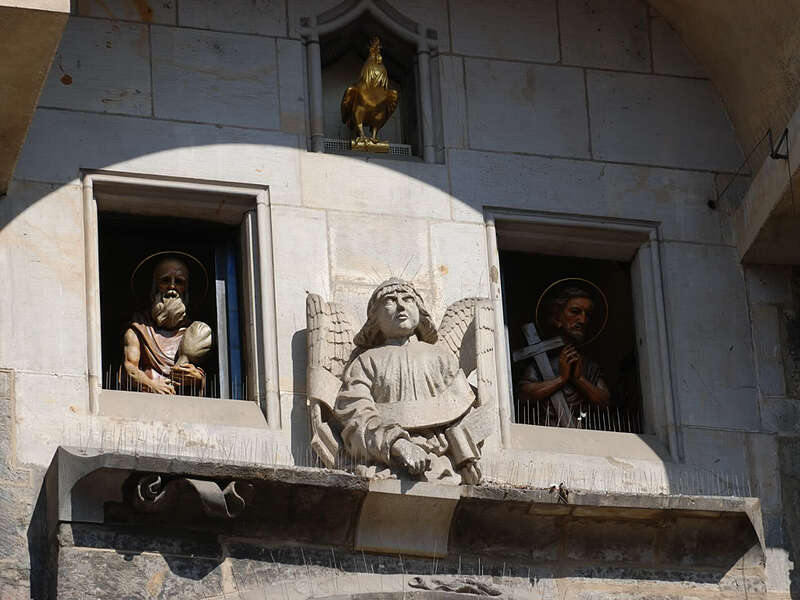 St. Barnabas comes last carrying a papyrus. 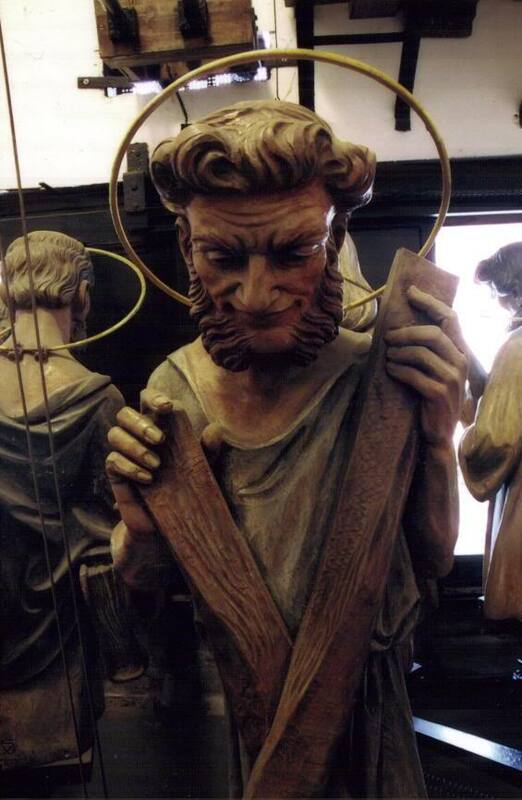 St. Peter with a key and he is the patron saint to fishermen, locksmiths and clockmakers.